Newsgur USA: Facebook breaks its rules ... why? Facebook breaks its rules ... why? What worries some activists about the project is the fact that Facebook has broken its own rules to create false profiles. 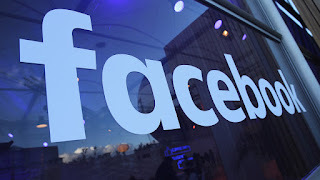 The lawyer at the NGO Privacy International based in London, United Kingdom, Millie Graham Wood in charge of questions about new technologies and the rights of users considers that if they identify content that should not be there, Facebook would have to eliminate it. He added that if the organization itself (ISD) is engaged in years of research, it does not mean that they are trained to exercise that type of surveillance function. Facebook capitalized on the initiative but did not want to disclose the amount it spent on it. Similarly, he stated that he did not grant ISD special access to the profiles of its users. In a pilot project to de-radicalize extremists through Messenger, the messaging platform, the social network Facebook skipped its own rules. Dozens of people who transmitted extremist Islamic and far-right content in the United Kingdom were recognized and contacted through false profiles. The purpose of this is to try to make them change their minds by carrying out the same recruitment methodology that extremists use. According to researchers from the Institute for Strategic Dialogue of ISD, 569 people contacted, 76 exchanged a conversation of five or more messages, of which eight showed signs of positive impact. The organization, based in London, seeks to combat the violent extremism that hides this project funded entirely by Facebook. The problem is that the activists who support privacy think that this system presumes unfounded surveillance by the social network towards its users. According to Colin Bidwell, a survivor of an extremist attack in Tunisia, one can have ideas of this type, but the incomprehensible thing is extremist violence. Entities from different parts of the world have been asking for technological companies for months to take more measures to deal with extremism, after having several cases of people who were radicalized on the Internet. According to statements made by ISD researchers to the BBC, they made use of software to scan the Facebook pages of radical Islamist and far-right groups. Once the phase is concluded, the researcher will manually identify different manifestations of violent or hateful language in the profiles. The project involved 11 intervention providers, which brought together repentant extremists, terrorist survivors or trained therapists, who paid $ 34 an hour for an eight-hour workweek. Colin Bidwell was one of them, a survivor of the attack in Tunisia in 2015, where at least 38 people died when an armed man broke into two hotels in Susa. Bidwell, through a fake profile, interacted with social network users who revealed support for Islamic extremism, including those who could support the Tunisian attacker and challenged their views through questions and conversations. Many did not respond, but some ended up engaging in long conversations. Despite the insufficient number of people involved in the project, ISD maintains that Internet conversations can make a difference when it comes to curbing extremism.